(Bloomberg Opinion) -- President Bill Clinton claimed at a forum in 1998 that his grandmother was "one-quarter Cherokee." The assertion, from a politician with a not-always-sterling reputation for truthfulness, went unheralded. Clinton's mother had earlier been described, in a 1992 article, as a "descendant of Irish farmers and Cherokee Indians." The genealogical receipts were never in evidence. But families have their stories; few seemed to care one way or another. She also can't seem to shake a political problem that posed no noticeable discomfort to Clinton. The latest installment - it seems there may be more - was the unearthing of an apparently not-so-confidential Texas state bar form that Warren filled out three decades ago when she was a law professor at the University of Texas. On the form she wrote her race as "American Indian." Many people find the storm over Warren ridiculous. And they have reason. 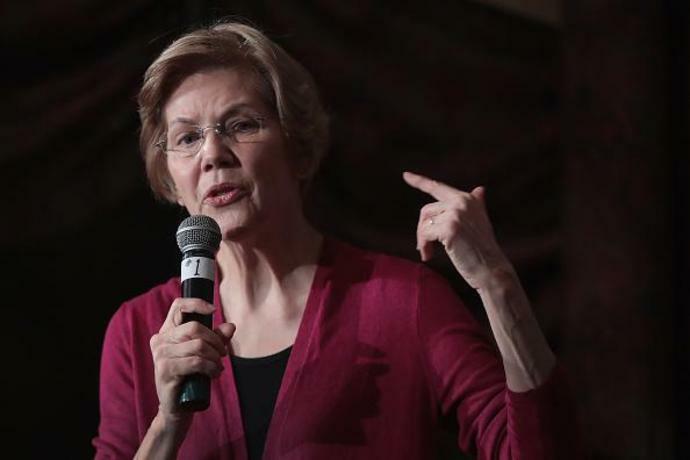 At a time when the president of the United States makes regular and open appeals to bigotry, harping on Warren's minor identity foibles seems absurd. Warren is not calling Mexicans rapists. She's not caricaturing black neighborhoods as savage war zones where you can't walk down the street without being shot. She has sexually assaulted no one. The Boston Globe reported that Warren gained no career benefit from her self-designation. "At every step of her remarkable rise in the legal profession, the people responsible for hiring her saw her as a white woman," the Globe reported. Regarding the Texas bar form, Brian Beutler tweeted, "The fact that she made the claim on a form that was meant to be unlogged and confidential actually underscores her point that she identified as she did out of sincere belief." Warren is 69. Over the years, she has surely mentioned her Indian affinity many times - contributing recipes in the 1980s, for example, to "Pow Wow Chow: A Collection of Recipes from Families of the Five Civilized Tribes" - without social awkwardness or professional consequence. Warren also grew up in Oklahoma, a state created from Indian Territory. "I think what Warren has done in identifying as American Indian - and particularly as a Cherokee -- is very Oklahoman," said Circe Sturm, author of "Becoming Indian: The Struggle over Cherokee Identity in the 21st Century." Blue-eyed Indians are too common to be political fodder in Oklahoma. "In Oklahoma, you have plenty of native people who look white but have native ancestry or tribal citizenship," Sturm said in a telephone interview. There was a time when Elvis Presley could grab a piece of "race music" and exploit it for fame and fortune in the white mainstream. Three decades ago, Warren perhaps thought she was respectfully identifying with a brutalized minority, or just imagining herself as the person she thought she was, or wanted to be. You didn't need malicious intent, or a desire to game racial classifications, to want to stretch the bounds of whiteness. Historically, whites generally had greater freedom to try on new identities, and explore new social arrangements. Racial minorities had their identities assigned, and "passing" beyond rigid definitions was a perilous exercise. One of the chief institutions grappling with this transformation, and driving it, is the Democratic Party. As a woman, Warren has benefited from the party's new openness to female power. But she's being buffeted by crosswinds on race. The mainstream news media, always eager to posit a Democratic counterpoint to the criminality and corruption swirling around Trump, may conclude that Warren's Indian issue is an offense so grave that it rivals substandard email protocol. The Democratic Party itself, testing its surroundings with multiracial sensors, may conclude that it has enough high-quality alternatives to Warren that it can afford to leave a star player on the bench. That would be a shame. Warren is well worth hearing from. But it may also be the high price of progress. Democrats, after all, are the only game in town. Republicans, seated in the whites-only section of the bleachers, hurling insults at the players on the field, won't join in making social justice and empowerment a cause.